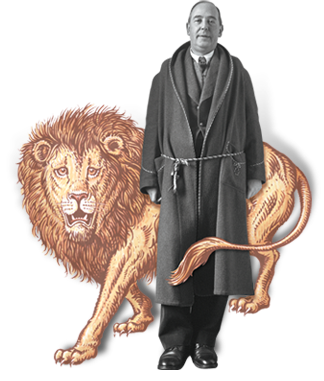 In both his book and in his essay here on cslewis.com, Michael Ward lists me as someone who holds a different position than he does on the mixture of images Lewis uses in The Chronicles of Narnia, and so I am happy to have been invited to present another point of view. Dr. Ward is correct in placing me in the “approval” category among those who do not see a problem with the combination of characters, events, and symbols Lewis chooses. Planet Narnia by Michael Ward is in many ways the kind of book C. S. Lewis himself would have liked. It has a lovely tone, serious and winsome at the same time. It is one of the best researched books on Lewis—in print or out. It has generated the kind of “hammer and tongs” discussion that Lewis and his friends delighted in. Finally, it is written with a clarity that in my opinion rivals Lewis’s own. It is a book Lewis fans everywhere will enjoy regardless of whether in the end they are convinced by Dr. Ward’s argument that Lewis based the seven Chronicles of Narnia on the seven heavens. I enjoyed it, but remain unconvinced. Here are three reasons why. The Lion, the Witch and the Wardrobe – Mars. Mars is famously the god of war and this is a war story, a war to drive out an evil tyrant and her forces. In a prominent meeting with Father Christmas, Peter, Susan, and Lucy are armed with sword and shield, bow and arrows, and dagger and to repair the wounds of war—healing cordial. Peter’s first combat occurs in a moving scene that is one of the turning points of the story and one he will refer to in the next story as well, and afterwards he is made a knight. Aslan has a special meeting with Peter to outline “two plans of battle,” the only such meeting in the Chronicles. After killing Aslan, the Witch cries to her army, “Now! Follow me all and we will set about what remains of this war!” As Susan and Lucy approach the final battle, they hear “a noise of shouts and shrieks and of the clashing of metal against metal.” Then Aslan leads all the “war-like creatures” into the fight: dwarfs with their battle axes, dogs with teeth, the Giant with his club, unicorns with their horns, centaurs with swords and hoofs. Afterwards Edmund, too, is knighted, and we hear the stirring account of how he fought his way through three ogres and brought his sword smashing down on the Witch’s wand. Lewis tells us that the first actions of the newly-crowned monarchs are to seek out and destroy the remnants of the Witch’s army. Prince Caspian – Jupiter. Jupiter was the planet of kingship, and this story is about what it means to be “a true king of Narnia” and the clash between Caspian’s destiny as the rightful king and Miraz’s unlawful attempt to reign in his place. The adventure begins with a blow on Susan’s magic horn which calls the High King of Narnia and his siblings out of the far past. At their first meeting Trumpkin tells the children, “I’m a messenger of King Caspian’s. Caspian the Tenth, King of Narnia, and long may he reign!” Then he must add, “That is to say, he ought to be King of Narnia and we hope he will be. At present he is only King of us Old Narnians.” In his letter to Miraz, Peter asserts his own position as “High King over all Kings in Narnia” and further distinguishes between Caspian who is the “lawful king” and Miraz who is merely “styling himself” as king. Based on these aspects, it is easy to see which book is the war book and was based on Mars and which book is the king book and was based on Jupiter. All well and good except that in both his book and his essay, Dr. Ward assigns these books their planets in the exact opposite way—an easy thing to do given the great mix of planet imagery we find in them. If the first problem with Dr. Ward’s thesis is the random assortment of planet images that appear in each book, the second problem is that his claim to have discovered the “secret, governing imaginative scheme underlying the Narnia Chronicles” does not pass what I call the “So What?” test. Would knowing that, as Dr. Ward claims, there are some Mars images in one book, some Mercury images in another, and some Jupiter images in a third significantly change the way respond to Lewis’s stories or change what they mean to us? For me the answers are no and no. In the opening words to The Narnia Code, the recent BBC documentary focusing on Planet Narnia, the narrator suggests that without the Planet Narnia thesis, the Chronicles of Narnia can be viewed as “a case of bad writing” and “a random collection of odd characters and events with no rhyme or reason or literary sense.” From my perspective, the Narnia stories do not need the Planet Narnia premise to transform them from bad writing into good. For me, and I think for millions of other readers, there has always been plenty of rhyme, reason, and literary sense in these classic tales. I do not share Dr. Ward’s opinion that without his theory the seven stories have no unifying theme. Why does Father Christmas appear in the first book? I believe the reason Lewis included Father Christmas was because this was the best way for him to convey what he wanted to convey. According to the Planet Narnia thesis, Lewis includes Father Christmas because his jovial character can be associated with Jupiter. In his essay “Modern Theology and Biblical Criticism,” Lewis complains about a kind of literary criticism that attempts “to reconstruct the genesis of the texts it studies,” to find out “with what purpose” an author wrote and “under what influences.” He observes, “Every week a clever undergraduate, every quarter a dull American don, discovers for the first time what some Shakespearian play really meant.” Lewis notes how this type of criticism is always done with immense erudition and great ingenuity and how at first sight may seem very convincing. Lewis then goes on to comment, “I have watched reviewers reconstructing the genesis of my own books in just this way” and concludes “not one of these guesses has on any one point been right.” Someday we will have a chance to ask Lewis if Michael Ward has been the one exception to his rule, and both sides can enjoy a good laugh at who was right and who was wrong, recognizing that when all is said and done it matters very little. As more people have a chance to carefully examine the arguments put forward in Planet Narnia, and this is something I heartily recommend, it will be interesting to see whether more of them will agree with Douglas Gresham and Paul Ford or with Michael Ward. This forum presents a great way for those on both sides of the debate to present their opinions and for each side to learn something new from this exchange of ideas. Devin Brown is a Lilly Scholar and Professor of English at Asbury College, where, among other duties, he teaches a class on Lewis. He is the author of Inside Narnia: A Guide to Exploring The Lion, the Witch and the Wardrobe (Baker 2005) and Inside Prince Caspian: A Guide to Exploring the Return to Narnia (Baker 2008). He is currently working on Inside the Voyage to the Dawn Treader to be released in fall 2010 in advance of the third film. This entry was posted in Devin Brown and tagged Christmas, controversy, narnia.